Buckingham; McVie; McVie/Patton; McVie/Quintela; Nicks. Very Good. In very good packaging. 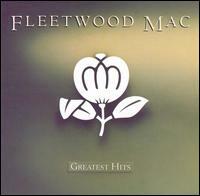 Fleetwood Mac-Greatest Hits by Fleetwood Mac. Buckingham; McVie; McVie/Patton; McVie/Quintela; Nicks. New. Fair. The case is chipped, cracked or damaged. Download codes are missing or assumed expired. Next Day Processing. Daily shipments M-F from San Diego! Very Good. 075992580120 Former Library Copy. All Audio CD's Guaranteed.